I’ve been doing a little bit of blogging house keeping and I found quite a few posts that have been sitting in my draft folder. I guest posted this tutorial over at My Favorite Finds a while ago and somehow I missed re-publishing it here. 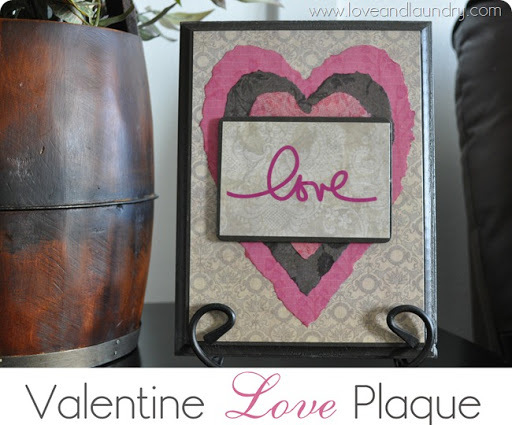 In my original post, I talked about how much I loved how this valentine love plaque turned out. And I wasn’t kidding. I still keep it in my living room almost all year. 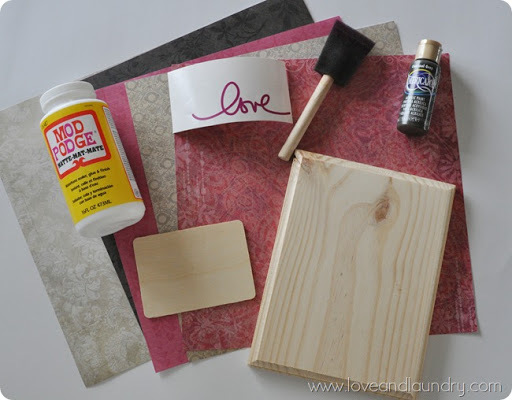 I love Mod Podge projects! They are so easy to do and look so amazing when finished! STEP TWO: Get all of your paper ready. 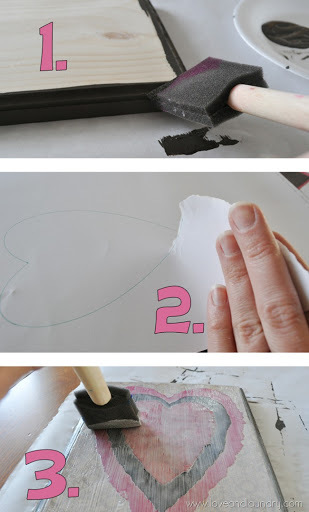 To make the hearts, I traced a heart shape on the back of the scrapbook paper and carefully tore the papers into hearts. STEP THREE: Mod Podge it all together. I hot glued the small plate onto the front on the plaque. Great project! I love that you tore the paper rather than cut it. It gives it a nice look.